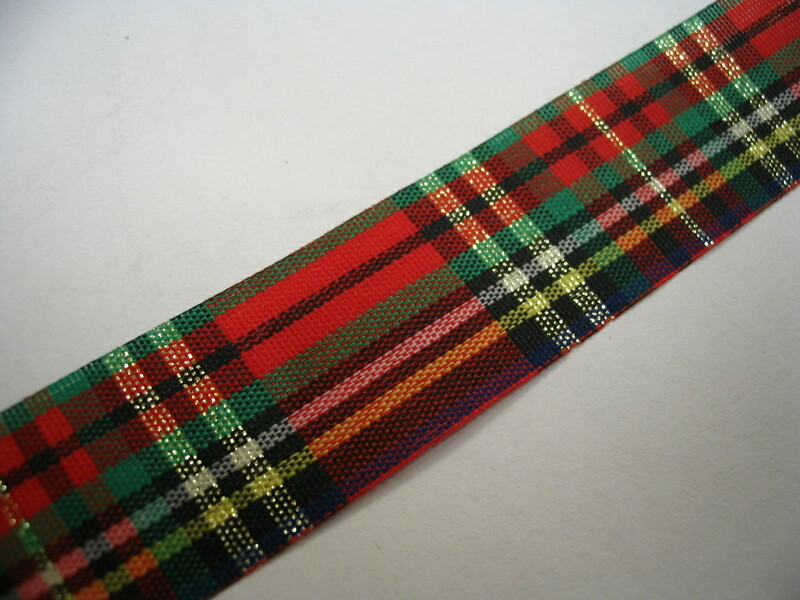 MacKean (McKean) "Taffeta" Tartan Ribbon is available in available in 10mm (3/8"), 15mm (approx. 1/2"), 24mm (1"), 36mm (1½"), 48mm (<2") and 72mm (2¾") widths on 25m (27½ yard) reels. Taffeta tartan ribbon is a finer-weave has heat-sealed edges and is cut from wider material, so each reel will show a slightly different part of the tartan. The MacKean Tartan Ribbon sold by tartan-ribbon.com is quality, authentic Scottish tartan ribbon and is manufactured in the United Kingdom. MacKean Taffeta Tartan Ribbon features a gold lurex style thread within the weave as it was originally commissioned for use as a Christmas ribbon... although based on the MacKean tartan, it is not totally authentic but is a lovely decorative tartan ribbon. Please note that this is currently the only MacKean Tartan Ribbon currently produced.